Since axonal regeneration is possible in the peripheral nervous system, lesions can be treated by suturing disconnected nerve stumps or, when a lesion-induced gap must be bridged, by grafting an autologous nerve. However, nerve transplantations require multiple operations and cause a sensory deficit at the donor site. It is therefore desirable to develop artificial conduits for nerve regeneration as alternatives to the autograft. A core concept for the design of such implants is the incorporation of orientated nanofibers. Artificial implants have to promote and guide axonal growth, the migration of Schwann cells, and they must not cause excessive inflammatory reactions. With hollow tubes, which are already used as nerve bridges in clinical studies, it is not possible to achieve regeneration over distances much larger than 30 mm. 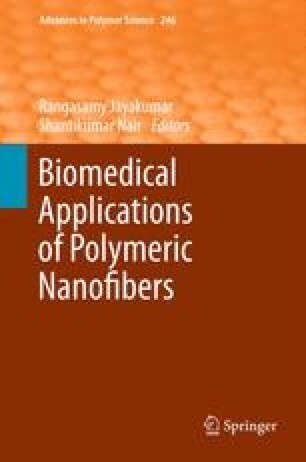 For this purpose, biocompatible tubes are being developed that contain orientated electrospun fibers consisting of a range of natural or synthetic materials. More recently, artificial guidance materials have been endowed with biologically active molecules. Extracellular matrix proteins or synthetic peptides that activate integrin receptors have been coupled to electrospun fibers. Other approaches adopted gradients of neurotrophins or incorporate living cells. One of the long-term goals of this research is to develop cell-free artificial implants that become integrated at the lesion site to the extent that they become populated by migrating host glia and allow a similar degree of regeneration that is supported by the autologous nerve. A research project to develop an artificial nerve implant, conducted by JM and GB, is supported by the Deutsche Forschungsgemeinschaft (ME 1261/11-1).